I shared a post on Twitter I had written for a local parenting website and had a lovely message back from someone saying how inspiring I was as a working mum who managed to fit in some charity fundraising and a bit of running into my busy life. I was struck by how wonderful it felt to have somebody think of me as an inspiration to others – which conveniently gave me the inspiration for this Running Stories post. We often talk about being inspired by the achievements of others when it comes to running. The Running Stories website alone is filled with motivational stories of real people who have overcome some incredible adversity or have made an amazing change in their life to take up running, which lead others to think ‘wow – if they can do it, I’m damn sure I can give it a go’. 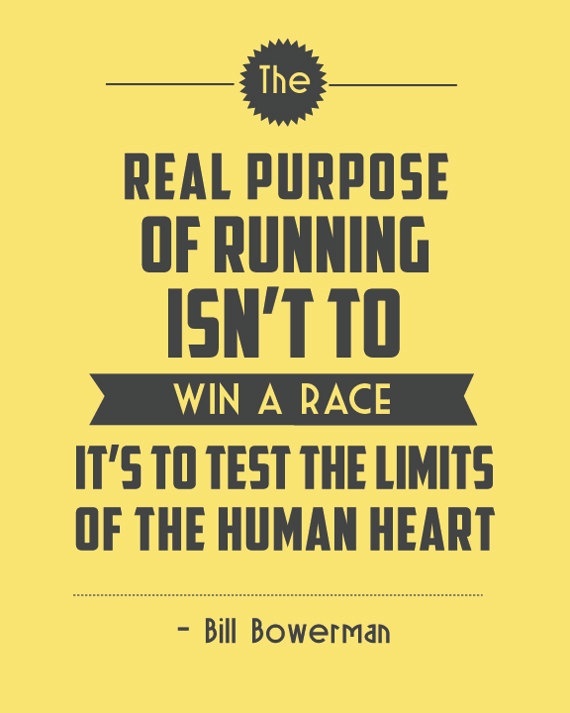 I think there must be very few runners out there who started training just for the fun of it. I’m sure most people will have their own personal reasons for doing what they do, and the family members, athletes or complete strangers they look up to as their inspiration. The ‘Legacy of 2012’ is often referred to as being a huge inspiration for young people to enjoy exercise more, but I imagine there were more than a few grown adults who sat on the edge of their sofa on Super Saturday and watched Jessica Ennis and Mo Farah run for their lives along that track in the Olympic Stadium, then went and dug their trainers out of the back of the wardrobe the next day. At the other end of the spectrum from these amazing athletes, but certainly no less of an achievement, you have everyday people doing incredible things. Claire Lomas, a young woman only a year older than me, was paralysed from the chest down in a riding accident. She completed last year’s London Marathon in a ‘bionic suit’, taking 17 days to complete the course. Stories like Claire’s make me feel so lucky that I have the luxury of being fit and healthy, and I can only hope to have a fraction of her mental strength when I’m out there training hard. I saw two amazing sights at the Great North 10k in Gateshead in June. The first was a young mum, who only minutes before had finished running the race, and was now standing breastfeeding her small baby. I did a double take as I could barely believe what I was seeing. I was struggling to feed myself a granola bar, never mind have the composure to breastfeed a baby. The other sight was that of 82 year old Gladys Tingle, striding across the finish line in Gateshead Stadium to the sound of roars from the watching spectators. Gladys only took up running at the age of 70, and has since completed two London Marathons and nine Great North Runs, finishing last year’s race in a little over three hours. These everyday stories of truly inspiring people are what gives running such a heart as a sport, and what makes the running community very special to be a part of. If I can inspire just one busy mum to think that she can do what I do, and make her life a little better for it, then I really will have achieved something.